Court VanTassell’s practice focuses on environmental regulation and energy litigation. 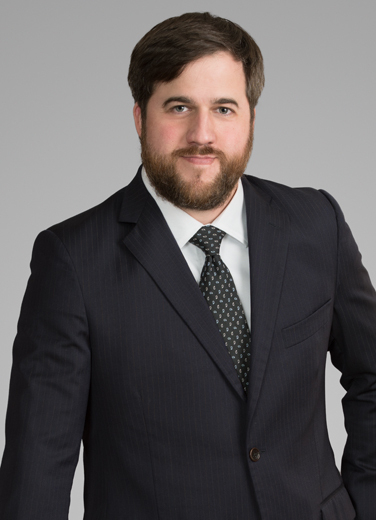 Court represents clients ranging from global energy corporations to start-up companies and he advises on all aspects of the use and management of natural resources, including environmental compliance, conservation, remediation, and litigation. Court has particular experience advising oil and gas operators in matters related to upstream environmental compliance and the management or restoration of oilfield properties. He also frequently handles matters concerning wetlands, coastal land loss, NORM, waste disposal, and industrial facility permitting. “Where There’s Muck There’s Brass: RCRA Citizen Suits,” Tulane Environmental Law Summit, New Orleans, Louisiana, March 11, 2017. “Courting the Court: Ethical Implications of Judicial Campaign Contributions,” Liskow & Lewis Energy Law Seminar, Houston, Texas, Nov. 11, 2015. Court enjoys spending time outdoors, particularly hunting, kayaking, and camping with friends and family. He grew up in northern California and, when possible, still enjoys skiing, scuba diving, or returning to Napa to catch up on the latest vintage. He has enjoyed travelling abroad but his favorite place remains playing in the backyard with his wife and son.